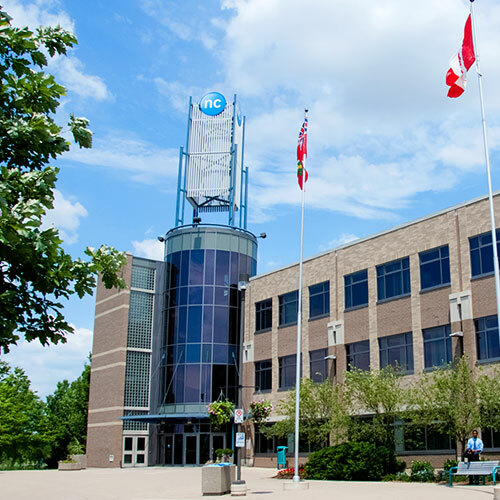 Request books, movies and audiobooks from NOTL Public Library's collection to be delivered to Niagara College's NOTL Campus for pick up. Return your items here too. Search the Catalogue using the search bar at the top of your screen. Once you have found your item, click the blue 'Hold' button. 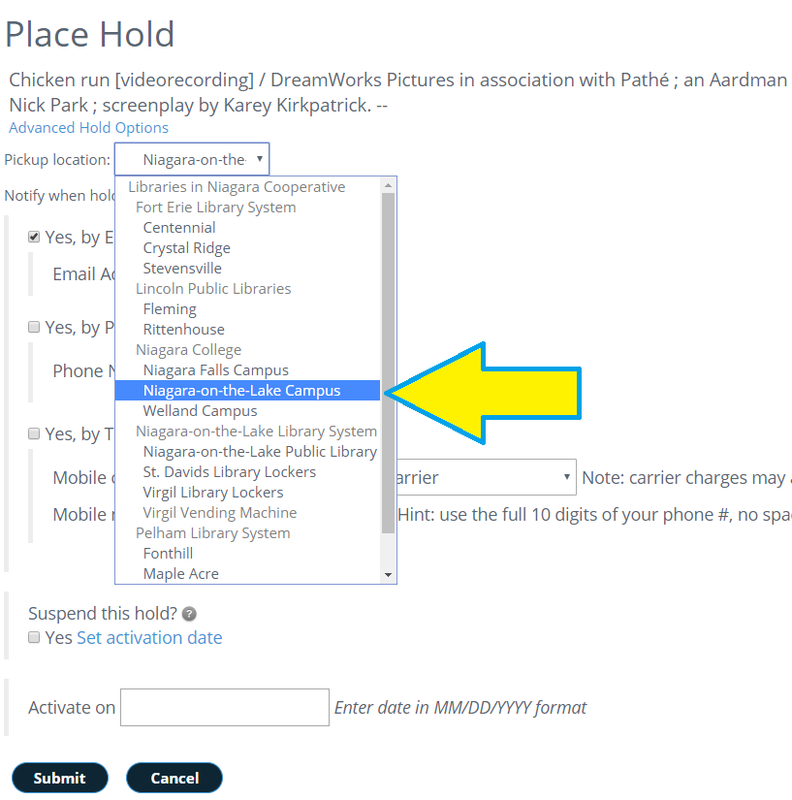 On the 'Place Hold' screen, select Niagara-on-the-Lake Campus from the 'Pickup location' drop-down menu.